Despite Sanders’ historic election, we still don’t seem any closer to resolving the rancorous intra-left debates about race and class. Many are perplexed by what they see as black Americans’ perverse allegiance to Clinton. One of the most striking developments of this election season is the inability of Vermont Sen. Bernie Sanders to attract black voters to a campaign that speaks more directly to their needs than that of any major party candidate in recent memory—if ever. Even Jesse Jackson’s pioneering campaigns failed to challenge the economic foundations of white supremacy like Sanders does. Despite West’s tendency toward hyperbole, the Sanders campaign enlisted him as a liaison to the black electorate. But his high-charged criticism of President Obama (he has called him a “pimp” and a “black mascot of Wall Street oligarchs and a black puppet of corporate plutocrats”) have won him few fans with folks still smitten with the first black president. In the South, the Sanders campaign needed a surrogate with a “gospel accent,” so to speak. Utilizing West for this purpose reveals Sanders’ campaign as either tone-deaf to cultural nuances in the black community or so desperate for high-profile black support that it doesn’t care. Other black Sanders surrogates, like activist-actor Danny Glover, rapper Killer Mike and the iconic Harry Belafonte, were enlisted to bolster his racial bonafides but instead give the campaign a bookish, boutique character. Certainly they failed to pierce Hillary Clinton’s firewall of Southern black support. The former secretary of state carried margins of 7 to 1 or more among black voters. That support is likely a function of her history as a first lady in the state of Arkansas, hazy nostalgia for the boom days of the Clinton ‘90s and her fulsome embrace of the beloved Obama. The possibility of electing the first female president is also a probable factor: Women comprise 66 percent of the black electorate. Sanders does only a bit better with black voters in northern states, winning roughly 30 percent in Michigan, Ohio, Missouri and Wisconsin. But the gap remains significant. I think Ford is on target, and although he bemoans this tendency, it’s one that’s been honed by centuries of hard-earned experience. New York Times columnist Charles Blow calls it “functional pragmatism.” In the push-pull relationship between Bernie and the black community, that’s some of the push. Bernie’s pull also needs help. When Ta-Nehisi Coates gently chided Sanders for excluding reparations from his list of policy demands, the senator’s supporters went ballistic. Cedric Johnson in Jacobin and Paul Street in Counterpunch launched attacks that recalled those ideological screeds from the ‘70’s denouncing black nationalists as “bougie” class traitors. The significance of these ideological nuances made a brief appearance during a debate in Flint, Michigan, when Sanders’ response to a question about his “racial blind spots” implied that only black people live in “ghettos” and that most black people were poor. It was a minor verbal gaffe that was likely the product of debate exhaustion. But it was a gaffe that might also be characterized as a “Marxian slip,” in that a bit of Bernie’s worldview slipped out. Specifically, his conflation of black America with the lumpenproletariat, a Marxist-Leninist conceit widely held during the days of the Black Panther Party, the time of Sanders’ ideological formation, but one that can elide the specificities of racial oppression and the subtleties of class divisions in the black community. It was indeed a slip for Sanders. He’s been trying hard to update his rhetoric to be more attentive to issues of white supremacy. He effectively incorporated an early encounter with Black Lives Matter protesters into a more inclusive campaign platform. But his gaffe also played into an ongoing squabble among progressives about the role of race in the class struggle (or the role of class in the racial struggle). That disagreement has been debated rancorously for the better part of a century now. And despite the historic campaign Bernie Sanders has run in this election, we still don’t seem any closer to resolving it. version of the bill included a ban on semi-automatic assault weapons. hopelessness, drugs, crime, and violence. our society, or we can build more jails. Bernie voted for that crime bill. Hillary didn't. Sanders voters want to go back to the 50's economically. Trump voters want to go back to he 50's culturally. We're not too stupid to know what's best for us. We just live in reality and not the upper class bubble of hipster politicking. He biggest trick the devil ever pulled was convincing people he didn't exist. The biggest trick that Sanders ever pulled was convincing people that a 75 year old straight white male politician is actually the messiah. F off. One of the reasons that the black community support both Bill and Hillary Clinton is because they have continually had a personal relationship with black individuals and black communities. Yes, Sanders marched for racial equality in the 60s, but then he moved to the whitest state in the union and had no real relationship with the black communities. He and his supporters are unconsciously condescending when they tell blacks that they should support Sanders because his programs are better for their economic and social interests. For too long the black community has been told what is good for them, as if they are unable to understand their own needs. This is a very subtle form of racism. And if you look at the people Sanders turns to for policy and advice, it is overwhelmingly white and male. So when the choice for the black community was someone who asks, "what do you want, what are your needs" and someone who says "look at what I'm doing, it will be so good for you" , the community has chosen the former and chosen Hillary Clinton. Sanders is absolutely clueless when it comes to black people and they feel it and know it. He has not made the black community a focus, period. He knows nothing about the needs of the black community. He thinks that everything involves increasing the wealth of his angry white supporters. He only wins predominantly white states because he never actually addresses institutional racism. He has no solutions for disparity because he thinks it's all about wealth. If he had a brain he would see that racism has no consideration for wealth or position. That is why he was so comfortable suggesting that he would primary the 1st black president and insulting his intelligence throughout his term. Sanders' supporters jumped on his bandwagon when Clinton began garnering the black vote. Many of his supporters are racists. They call themselves progressives, but they have no interest in the black community or their issues. That is why when the BLM folks called him out, all of Sanders supporters screamed them down and made racist comments. Sanders' free college does zero to address racist teachers, failing schools, and the achievement gap. There are so many issues that Sanders has no clue about because he surrounded himself with only white people in a state that embraces guns. Jews don't play this victim-hood card, though it is the habit of some communities especially those who can't be named like Lord Voldemort! What a bizarre comment! Way to disparage intelligent people of all races with your ignoramus comment. I never said anything about all blacks. I spoke of most blacks no different than I'd speak most whites or most Americans in general. It just so happens this was about blacks, but the same pattern can be found in other demographics. Your line of thinking is why you will remain clueless. Many minorities already support Sanders. In fact, according to some data, he has already won the support of young minorities, both blacks and Hispanics. You are way too dismissive of intelligent and informed discussion. Economic equality is the bedrock of white liberals. Us minorities are still trying to attain equality. It's only because white liberals enjoy a position of power can they negate the problems of racial equality and avert their attention to economic equality. I think you should check your white, liberal privilege before speaking. Way to disparage blacks. Typical white liberal must save us poor minorities because we're too stupid to make informed, rational choices. This line of thinking is the exact reason minorities will never support Bernie. Berniebros are way too dismissive of our concerns and fail to treat us as their equals. Clinton believes in incremental change, so what? Bernie is delusional and hasn't accomplished anything in the senate because he keeps setting his goal way too high. Minority groups have flocked to Clinton because she's our best hope for another democrat in office. Bernie offers our communities no real solutions--only hand me outs for white liberals. White liberals want nothing more than the United States to become Sweden 2.0. This is not what minorities want. Clinton like it or not actually has our interests in mind. Muh 6 million. Jews are overrepresented here in the U.S.
"Bernie Sanders has drawn in a certain demographic that is *not* representative of the victims of hatred in this country, not the victims of American "classism", not the victims of institutional racism, etc." You might want to inform yourself before opinionating. Sanders has won the support of the majority of the younger generations, including both Millennials and younger GenXers and including both young women and young minorities. Sanders has also gained the greatest support of any candidate among lower income Americans. He specifically has won among the victims in our society. It's the young and the poor who have been hit the hardest by various social and economic problems. This is is true for young women and young minorities most of all, which is where Sanders shows his strength. This seems a bit clueless. 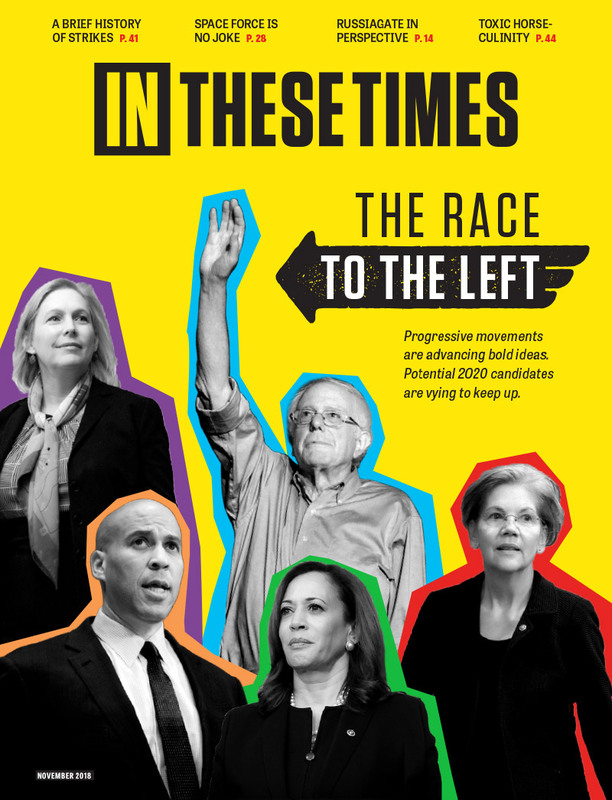 "Other black Sanders surrogates, like activist-actor Danny Glover, rapper Killer Mike and the iconic Harry Belafonte, were enlisted to bolster his racial bonafides but instead give the campaign a bookish, boutique character." What the heck is 'bookish' and 'boutique' about blacks working in various media fields? That is simply a bizarre statement. Speaking more generally, it must be admitted that the political establishment and their media elite cronies have done everything in their power to shut Sanders out. Most blacks simply didn't know who Sanders was. It's hard to make a rational choice when you are uninformed and disinformed about the choices being offered. It's not just blacks, as this is true for Americans in general. Until we Americans confront this corrupt rigged system, we will never be able to create a functioning democracy that represents the American public. 1) Backed the cuts to the welfare subsidies which disproportionately harmed African Americans, and marginalized groups. 2) She backed Goldwater in the 1960's, who was an avid segregationist. 3) She voted for the Iraq war, which itself cost $2 trillion, while also voting for Patriot Act, which allowed the government to spy on its own citizenry without a warrant or court order. 4) She wasn't for LGBT rights until very recently, while Sanders was supporting them for decades. 5) She and her husband backed the crime bill in the '90's, and she called African Americans 'super-predators'. 6) She spent the last two decades backing nation-building campaigns across the Islamic world, which cost between $4-6 trillion, destroying the region, while not wanting to spend a dime on the American people. She's fine nation-building (destroying) abroad, but doesn't want to nation build at home. 7) She pulls her contributions from private prison industry lobbyists, from corporations, and from banks, by millions upon millions of dollars. Sanders has taken individual contributions that average out to $27 from millions of Americans, avoiding the corporations and bankers. He takes his support from the average American, and she is bought off by the shareholders and corporations. I think Bernie said it best himself. What good is it to integrate a lunch counter if you don't have the money to buy a hamburger? That americans are defined by anti-intellectualism, including so called leftists also includes US blacks. Sanders is a MSM candidate; what would cause any black to trust him? African American support for Hillary is not perverse, it is, as Ford says, to keep the Republicans out of the White House--a pragmatic thing, not a love fest. And it's because the Black establishment pols have made that decision for their constituents and black voters have fallen into line. I agree Jesse Jackson would have been a better "gospel accent" stumper for Sanders than Harry Belafonte, so why is he on the sidelines in 2016 when his support of Sanders, who endorsed him twice, would have cinched him the nomination? it is not racism or class, but Jackson's lack of class that is to blame. Cornell West is right. While I don't have a definitive answer on the issue of why more African Americans don't support Bernie Sanders, I have some thoughts on the matter. I think that there are many young blacks and activist, left leaning blacks including intellectuals, writers, lower level elected officials, and a few celebrities that are in the Sander's camp. I think older blacks in particular listen to their pastors and elected officials. We all know that 98% of black elected officials are supporting Hillary. I don't think it's all because of money or because they feel they have something to gain or lose. I believe many people legitimately react negatively to Sander's rhetoric of revolution and constant talk of the billionaire class and Wall Street. I think many people don't believe he could accomplish much of his agenda if he won and question the viability of his proposals. Many people think a lot of it is pie in the sky. I believe some people resent his characterization of almost all Democratic elected officials as the "establishment" hence sell-outs. The ideological, purist, overly simplistic rhetoric just turns some people off or doesn't inspire confidence. Of course, people of all races are cautious about radical change and drawn to what's familiar. And I do believe many black people think Bernie has dissed Obama. His championing of single payer, universal healthcare when the dust around the Affordable Care Act hasn't even settled contributes to this. Despite its flaws, it's one of Obama's signature achievements and Bernie essentially says it's not good enough and he'd replace it. Very unwise focus, in my opinion. It has most to do with establishment politics. It's political human nature to try to hold onto whatever power one has gained. Back in the 1960s blacks didn't have many political jobs and achieving those positions over the years were at times hard fought. Once gained though, gerrymandering had made those offices favorable to incumbents and/or the party machine. Thus cities became politically controlled by black mayors and councils while the city districts also tended to be black elected officials. This is most felt in the South, where Democrats are squeezed into districts of high black/Democrat populations but the rest of the state is run by Republican whites. It became the system that 'worked' for black political 'power' as they became a part of the establishment of the Democratic Party. It takes money to win elections though and being part of the Democratic money trail helped hold jobs of incumbent blacks. Hillary Clinton represents the New Democrat establishment money system and her husband and her have supported Southern black incumbents during the last decades. Of course there is a reason to back Clinton now and it is hardly surprising. What most helps the Clintons is that Southern states don't vote Blue for president so those incumbent party politicians are most useful for primary/caucus voting. To the Clintons presidential runs, courting the black Southern vote gives them that Super Tuesday 'firewall' that heavily weighs on election season and they have a long tradition of doing this. There still is mythology as well. Bill Clinton was considered the "First Black President" although I want to scream at that label as we elected an actual black president. The polling shows that it is older blacks that nearly are unanimous for Hillary and it's Millennials that have shown more interest in Sanders. In the end it is not just one reason that blacks are more in Clinton's corner, but establishment party politics is probably the largest reason. Complacency and incumbency are easy to fall into and less apt to change. The Clintons have long regarded blacks as gullible patsies, and in reality, Hillary has shown that she really dislikes Obama intensely. I have a hunch that there's money behind a lot of it. I have a hunch the "black misleadership class", as Cornell West describes them, have financial interests in a Clinton presidency and the black 'lumpenproletariat' is unlikely to benefit from it. More corporate predation is what we'll all get, and the poor are always first into the grinder, with the middle class soon following. More of the same, in other words. Well treating Blacks as vote banks is not at all a noble thing. A Presidential candidate should be for all and by all. But no one seems to openly support or stand up for Jews in the United States of America. Jews are the most suppressed and oppressed community in the world but due to their low numbers, no one seems to talk about them. Race is used as divide and conquer politics implemented by both parties to keep people struggling against each other instead of fighting against the established order. Where does Hillary stand on reparations? Maybe someone at In These Times can tell me. What about the subtle but racist ads she put out against Obama in 2008, remember the "3am Ad," remember the Clintons circulating those photos of Obama in african attire, "Welfare Reform," the prison boom for drug offenses that disproportionately affected the African American community. Bill's recent rant against that Black Lives Matter group that called him out on these outrages, and he actually tried to defend them in faux high dudgeon, one could go on and on about the phony "first" African American President-Bill Clinton and his supportive wife at every step of his DLC, Republican lite agenda. Well, if African Americans want more of that, so be it, I guess. But this attempt to show Bernie as somehow out of touch with the realities of racism in this country just doesn't wash. The caste system in India (and the problems of apartheid that existed in South Africa) most-closely mirror the problems of racism in the Americas as opposed to the classical class problems that exist(ed) in Europe. I take that back about "the only place." There was another place and time when Jews were the main part of the group that was not "white privileged"... specifically, not the "master race." And, the American non-whites mirror all those who were the enemy of supporters of a "master race" too. Does that mean that *all* Bernie Sanders' elites are also racists; not exactly, no. It means only that they lack any real connection to what are the real problems for non-whites in this country *and* a jealousy of any who think they have claims to a victimhood that excludes white elite like Sanders' supporters. They don't understand "white privilege" or that they are totally a part of the white privileged group that is unable or unwilling to truly know what plagues American society. It is Sanders supporters wanting to include non-whites into *their fight* against the rich instead of wanting *to be included* in the fight against racism in the U.S. To them it is not about racism at all. It is about *them. * American non-whites are not *them,* but they are a part of the problem of white privilege in this country, and all of the Americas, technically. America is the only place where Jews and the Irish have ever been considered "non-white" along with blacks, latinos (off and on in our history depending on country) and many others who have suffered far more than the "under class" *white* elite in the Americas. European socialism doesn't address *that* sort of problem. Therefore, Sanders' supporters who see him as someone who can help *them* are *not* the same as those suffering from 'white privilege' in the Americas. They are part of "white privilege" in the Americas and as such, they only *think* they know the black "problems"... they think the problems are all class, but they aren't. You dance around the issue while never recognizing that you have it there in the middle of your rhetoric about reactions. You tout West who is an elitist extremist who is not well respected in the larger black community at all. You mention his supporters going "ballistic" over a gentle reference to reparations without absorbing how that points directly to an elitist tendency toward what you also mention, the bourgeois of Marxism. Look up that word, bourgeois; really investigate it and explore who exactly is included in that category but elitists -- not just any elitists either, but the ones who would not be included in that type of reparations and therefore are jealously defensive against such, those who want everyone to be grouped into the same "class" against the rich instead of the more racial victims of white supremacy. 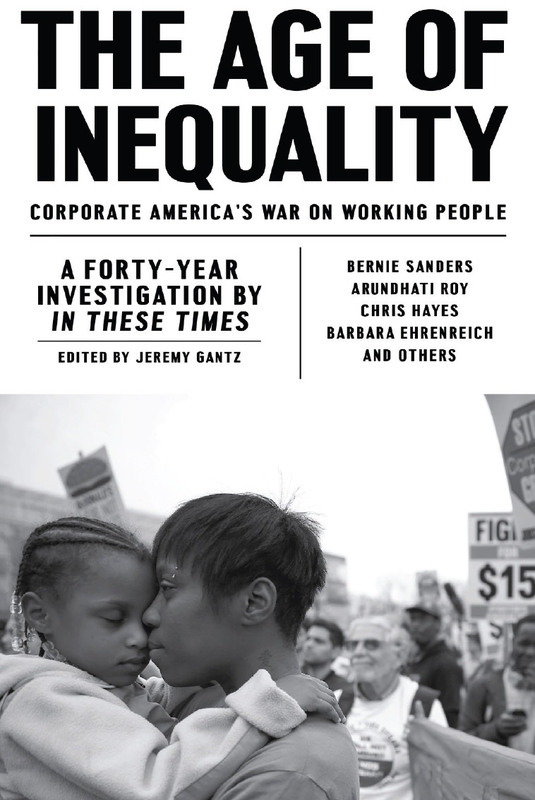 The rich are their enemy, not the white privilege; they view reparations as an unfair elevation of blacks above what they see as the government's lack of focus on the middle classes; they prefer for blacks and the poor to join them in their work to improve *their own* situation which is way above and aside from the fight against prejudice. And, they tend to view Israel, and Jews in general, as separate from their own plight, as part of the rich power elite that they don't like... they REALLY don't like, always focusing on haters of Jews as truly in their own category of haters of the rich. A lot of them are antisemitic and see Jews and descendants of slaves as interlopers want to take what the bourgeoisie believes belongs to "everyone" (except those interlopers who are somehow outside of both groups and undeserving, even enemies of their own desires. Bernie Sanders has drawn in a certain demographic that is *not* representative of the victims of hatred in this country, not the victims of American "classism", not the victims of institutional racism, etc. They *are* the elite that Bernie rails again, but they are the underclass elite who *think* they are victims of the rich and can't see that their own "victimhood" is imagined in a real-world where they do not suffer any of the indignities of the real victims of white privilege. The Sanders' supporters, by and far, *are* white privilege even more so than the rich who are not uniformly against the poor and disenfranchised. Sanders' supporters are *not* disenfranchised. They are merely not as rich as they think they should be, so anyone with a claim of more need than they is someone as bad as the rich who is seeking to cut into what the Sanders' elite view as *their* right and due. Classical socialism does not address the ills of the United States or the Americas as a whole. It addresses the ills of classical Europe. This is bull**** Bernie has been for the people forever. If he can't get the black vote I don't understand why. If people tune out the MSM and do their own research they will see for themselves he is the one ...but I digress. The MSM has a lot of people mind f***ed. Well Salim, now Bernie's "gaffe" has been matched with a painfully unfunny attempt at comic interplay involving Hillary Clinton. At a recent Inner Circle dinner, she indulged in a horrendous back-and-forth with Bill de Blasio, who apologised for being late in his endorsement of her and excused himself by stating that he was "running on C.P. time", a reference to the racist stereotype "coloured people time", only for Hillary to jump in and attempt to clarify the meaning as "cautious politician time". The winces among the audience, however, were audible. I wonder if you are going to be writing an article on her indulgence in this racist stereotype any time soon, with all its insidious implications for how she sees the black voters she failed to obtain in 2008. If you don't, it will be difficult to believe you when you say that Sanders is failing to attract black voters because of his "racial blind spots". Perhaps instead it is because the Democratic establishment is lying to black Americans, telling them that the woman who supported mass incarceration and employed racist dog whistle language to hurt their communities in the 1990s cares more about them than the man who chained himself to a black woman and was arrested in the course of standing up for civil rights in 1963.